Now, a newly released annual State Department report on voting records at the world body will tell her who exactly is in America’s corner – and who is not. 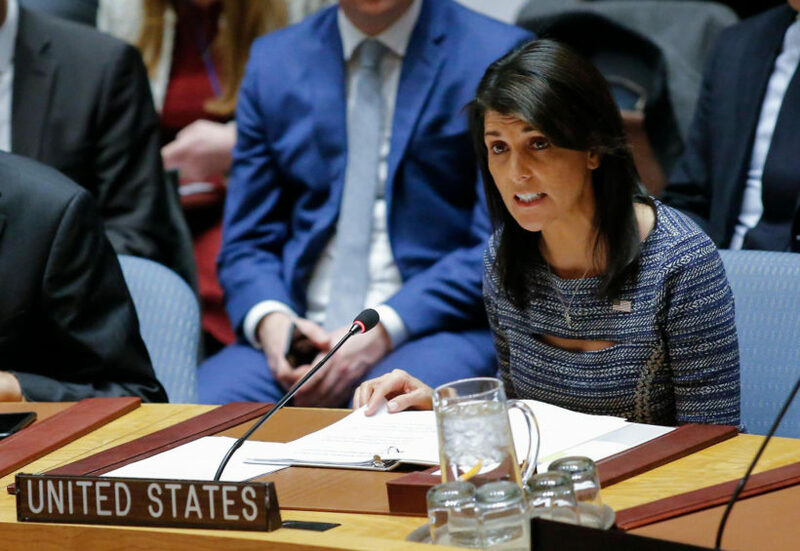 The report found that U.N. member states only voted with the United States 31 percent of the time last year on resolutions at the U.N. General Assembly – down 10 percent from the prior year. 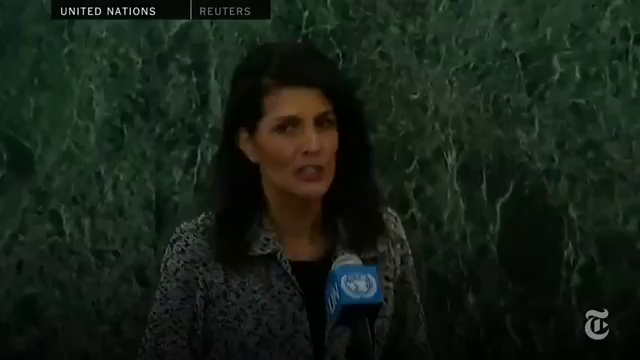 Reacting to the new report, Haley said in a statement that it was not an “acceptable return” on the United States’ investment and suggested this could factor into aid decisions. As the largest contributor to the United Nations, U.S. taxpayers gave $10 billion in 2016 for voluntary and assessed contributions. Voluntary contributions go to fund agencies such as UNICEF and the World Food Program (WFP). Assessed contributions are obligatory payments made by all member states and based on such things as per capita income and population. It funds peacekeeping and the regular budget of the U.N. …..
Wachtel continued, “While it is important for the United States to turn to the U.N. to work with other nations to achieve peace and security in troubled parts of the world, it is wrong for the U.S. to simultaneously turn a blind eye to dismissive practices by irresponsible countries.” It is also wrong, he said, for enemies of the U.S. to use the U.N. to boost their power, manipulate the system to get aid and yet work to compromise U.S. sovereignty. …..
Reprinted here for educational purposes only. May not be reproduced on other websites without permission from Fox News. 1. Who is Nikki Haley? What did she warn UN member countries of when she started her job? 2. a) How many countries are UN members? b) What percent of the UN budget do U.S. taxpayers contribute? c) How much money did we contribute in 2016? 4. Of the 10 countries that voted the least number of times with the U.S. as noted in the the “Voting Practices in the UN” report which was just released, how many received aid money from the U.S.? How much did each receive? 5. List the 10 countries that voted the most with the U.S. at the UN. 6. Why shouldn’t the U.S. give money to countries that don’t “have our back”? USAID (United States Agency for International Development) is an independent agency of the federal government that is primarily responsible for administering civilian foreign aid and development assistance. President John. F. Kennedy created USAID by executive order in 1961 to lead the US government’s international development and humanitarian efforts. Visit the USAID website for the amount of money the U.S. gives to each country.